Salads are one of the types of food that I am trying to eat more often. It is something that I am introducing to the kids to get them to eat more varied fruits and vegetables. I am incorporating them our weekday meals so that everyone is able to get the required nutrients . Having salads on the table really adds color to the meal served. It gives me a chance to increase the variety of foods dished out at each meal and see how the different combinations work. 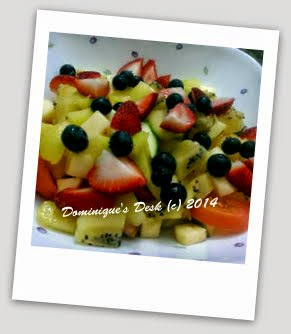 The kids love fruits and I try to give them a wide choice of fruits that can eat at each meal. 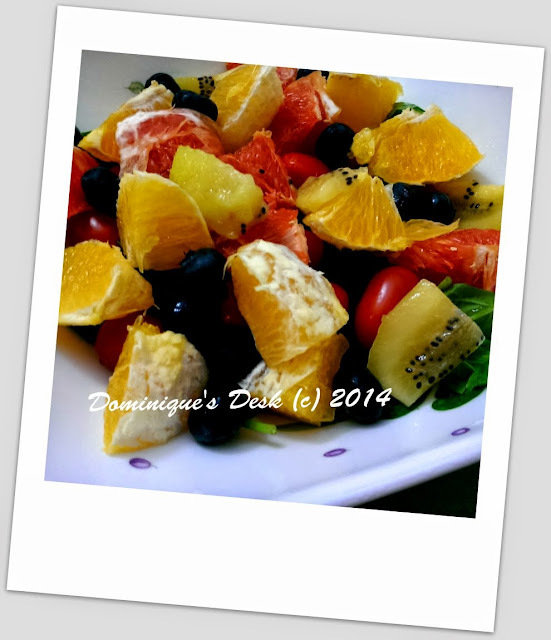 This is one of my personal favourite as there are many slices of juicy oranges and tomatoes within the salad. What salads do you like to eat? wow! very healthy! personally i would like to try out the orange salad! I love salad! 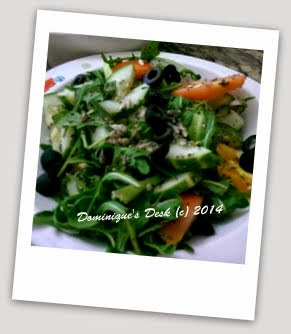 Green leaf salad with tons of veggies and tuna make a great lunch. 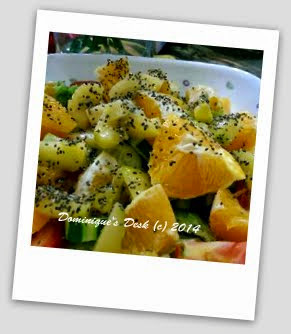 And fruit salad is a favourite afternoon snack. I’m not a big salad person, but one of our local eateries offers a sweet greens field salad that is my absolute favorite. Your salads look pretty yummy. I am a salad lover and these look so tasty. MMMM – all of them look so mouth-watering… especially the fruit salad! They all look great! I’ll take one of each! I like a salad with romaine lettuce, pineapple & cottage cheese. Love all the fruit salads. yummylicious! I’ve been looking for some salad inspiration. Thanks for sharing. We’ve been eating a lot of green salads lately. My sons actually love them. I like different types of salads. The ones you featured look great. I like food better if it’s prepared by someone else. I like spinach salad, and salad with lots of stuff, but don’t eat enough greens. Yummy, yummy salad indeed! I love making salad experiments too. From veggies to fruit combinations. Summer is a great time to explore salads. Lots of fresh veggies and fruit. Our local establishments have some great summer only salads I love to order. Those look delish and super healthy! Thanks for sharing! I love any and all salads, and these sure look yummy. Great pics! Thanks for sharing. They all look so yummy! We’re a big fan of salads here, especially in the summer months. I love salads. As I am trying to lose some pounds, I am researching for recipes that can be both filling and healthy. Obviously, I love Caesar’s although I stay low on the dressing.